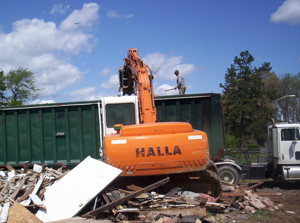 Demolition | W.C. Black and Sons Inc.
W.C. Black and Sons, Inc. offers construction site cleanup and removal services, demolition debris removals services, tree and brush removal services, and refuse removal services. We have the capabilities to provide hauling services for both your on-site and off-site needs. Our trucking fleet is well maintained, our drivers are among the best in the industry, and we arrive on time every time as promised. Do you have a basement, garage, or storage facility that is cluttered from floor to ceiling with junk? We also perform junk removal and recycling services in the Charlotte Metro Area to include Concord, Kannapolis, Gastonia, Belmont, Lincolnton, Huntersville, Cornelius, Harrisburg, and Fort Mill. We remove household junk, appliances, furniture, old vehicles, farm & construction machinery, and much more. Visit our website (http://www.wcblackandsons.com) or contact us by phone at (704) 597-5954 for additional information or a quote for your specific project. 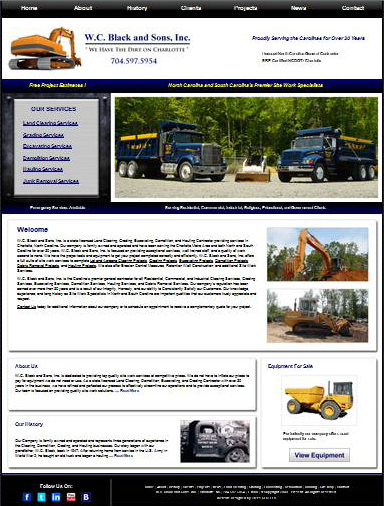 W.C. Black and Sons, Inc. (http://www.wcblackandsons.com), a licensed Demolition, Land Clearing, Grading, and Excavating Contractor in Charlotte, North Carolina now have over 30 years experience in the construction industry in the Carolinas. W.C. Black and Sons, Inc.’s capabilities, accomplishments, and extensive experience in Demolition, Land Clearing, Grading, and Excavating projects in both North and South Carolina have earned us a reputation for honesty, reliability, and customer focused options. W.C. Black and Sons, Inc. takes pride in the fact that the company’s mission is to provide our customers with real world solutions based on our knowledge, experience, and an unrelenting attention to detail. Our obsessive focus on quality ensures that our customers are satisfied with the results we deliver. W.C. Black and Sons, Inc. is a state licensed general contractor specializing in Demolition Services, Excavation Services, Land Clearing Services, Grading Services, and Hauling Services. Our experience has shown that many companies may advertise or claim to be a licensed contractor and get hired for a project, but do not quite live up to their claims or the customer’s expectations. This is a problem in the industry today. We advise everyone to do the necessary research prior to hiring a general contractor. Most people or businesses that have problems with contractors failed to do the proper research prior to hiring a contractor. 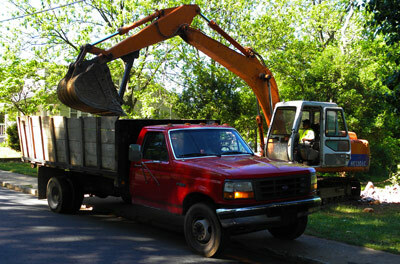 What should you look for in a quality Demolition, Excavating, Clearing, Grading, or Hauling Contractor? W.C. Black and Sons, Inc. has over 30 years experience serving Residential, Commercial, Government, and Industrial clients. We have operated Landfills, Completed Lot & Land Clearing Projects, Grading Projects, Excavating Projects, Hauling Services, Demolition Services for Residential/Commercial/Industrial Clients and Government Agencies. Our company also specializes in Erosion Control Measures, Retention Wall Construction, and Debris Removal Services. Our clients have included the U.S. Postal Service, North Carolina Air National Guard, North Carolina Army National Guard, CVS, Auto Zone, City of Charlotte, Charlotte Douglas International Airport, Habitat for Humanity, and many more. We offer quality services and deliver honest appraisals. 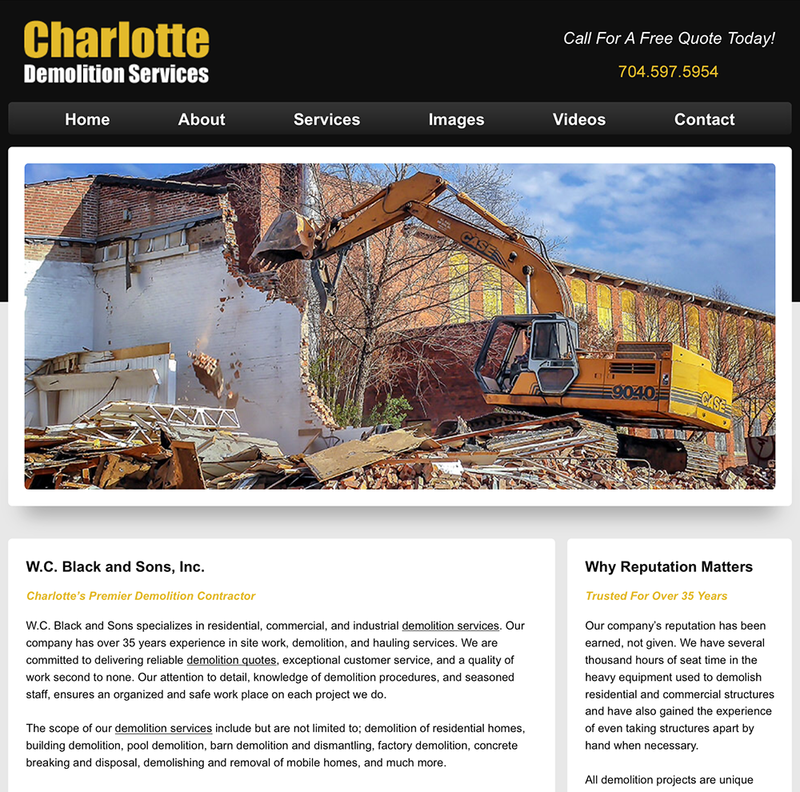 If you need a Demolition Contractor, Land Clearing Contractor, Excavating Contractor, Grading Contractor, or need additional Site Work or Hauling Services in the Charlotte Metro Area or throughout North and South Carolina, contact us at 704.597.5954 or by e-mail at info@wcblackandsons.com for a free estimate.